Anyways, I did not mean to give you a history lesson about the gender war. I actually just wanted to express my feelings/preference on baby #2's gender. 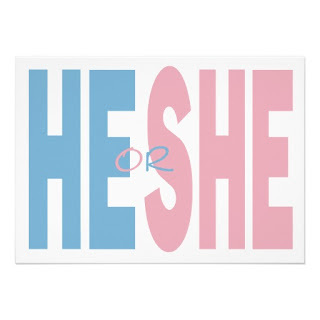 You see, this Sunday I will find out if baby #2 is a "he" or "she" at a little "gender reveal" party we are having (my party pooper husband will find out Wednesday at our doctor's apt, he doesn't want to be surprised at the party). The whole purpose of the party is to announce baby #2's gender in a FUN way in front of our family & friends. 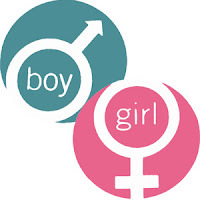 Well, since I am planning this gender reveal party, the other day I caught myself thinking about what "gender" I would prefer. I thought about how a boy would be great because we already have a little girl and John would love to have a little more testosterone in our family (since he is already out numbered by me, Josse & 2 tiny female dogs). But then I thought about how another girl would be wonderful, especially since Joselynn and her would be so close in age and I know they would just be the best of friends. As I was going back and forth waying out the pros and the cons I felt a sudden sink in my stomach & check in my spirit. All of a sudden I started to think about some acquaintances I have or friends of friends I know who have precious special needs babies. Then I started to think about some of my dear freinds who have lost their babies at child birth. I also thought about many of my other friends who had babies premature or with health issues and they spent many weeks in NICU fighting for their lives. I was also reminded of some of my dear friends with infertility issues. I then thought about one of my sweet friends who right now has a sister in her 20's battling leukemia. I was then reminded bout another precious girl I went to Bible school with, who is 28 years old, a mother and currently has stage 4 cancer and the doctors have given up hope & are refusing to continue her treatment. 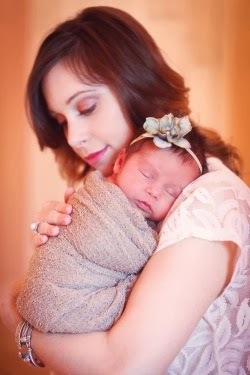 Basically I was quickly reminded how precious life is and what a gift health is. All of a sudden I could care less if I have a baby boy or a baby girl all I want is healthy child! Just the other day I wrote the blog God's Perfect Timing in that blog I basically talk about how my job is not to write my own story, my job is to seek God & live out the incredibly, prefect, story He has already written for me. The Lord formed me when I was still in my mothers womb (Psalms 139:13) & every day of my life has already been recorder (Psalms 139:16). So obviously my Heavenly Father has already planned out my life; He chose my parents, picked out my spouse & has already designed my precious babies and he chose their gender! I can honestly say that I 100% do not care what gender baby #2 is. All I want is God's perfect will for my life & my family! I know that the Lord knows exactly what children are right for John & I, and I am just humbled, honored and excited to get to raise those precious babies for Him! So if you are wandering what gender I am hoping for... I can honestly say I am just hoping & praying for a HEALTHY BABY & I will take whatever gender the Lord has already picked out & designed for my family.